First off - I made these little cuties with the gift that came with the September issue of DoCrafts Creativity Mag which consisted of patterned card blanks and small sheets of decoupage toppers. 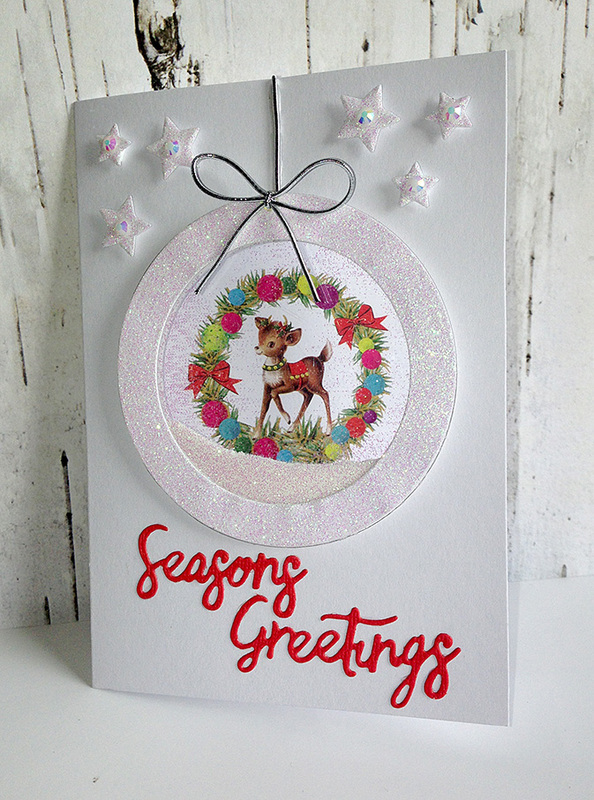 A really quick way of making a few cards to get you in the mood for a full on festive frenzy. I added a few basic die cut shapes to mat the toppers, a bit of inking and some ribbon and twine. 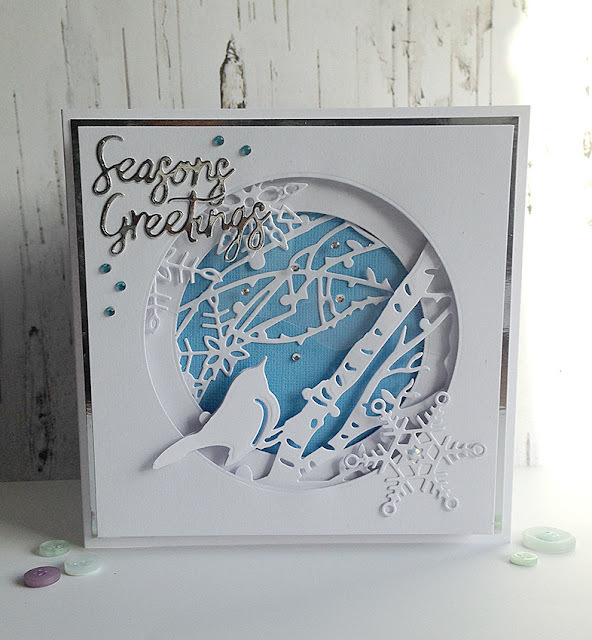 Next we have a couple of cards that were made with a couple of new Xcut dies. I die cut the images twice and cut them up to layer them with foam pads to give lots of depth and dimension. 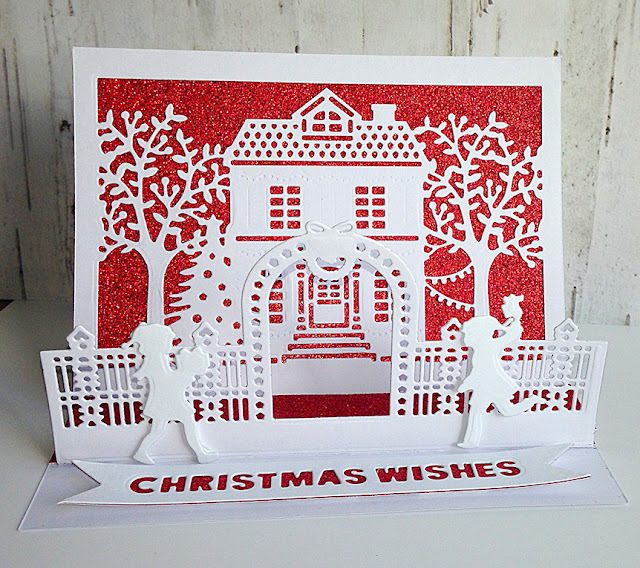 I loved making these cards and I think that die cutting with white card creates a lovely classy festive feel! Next up is a CAS shaker card. 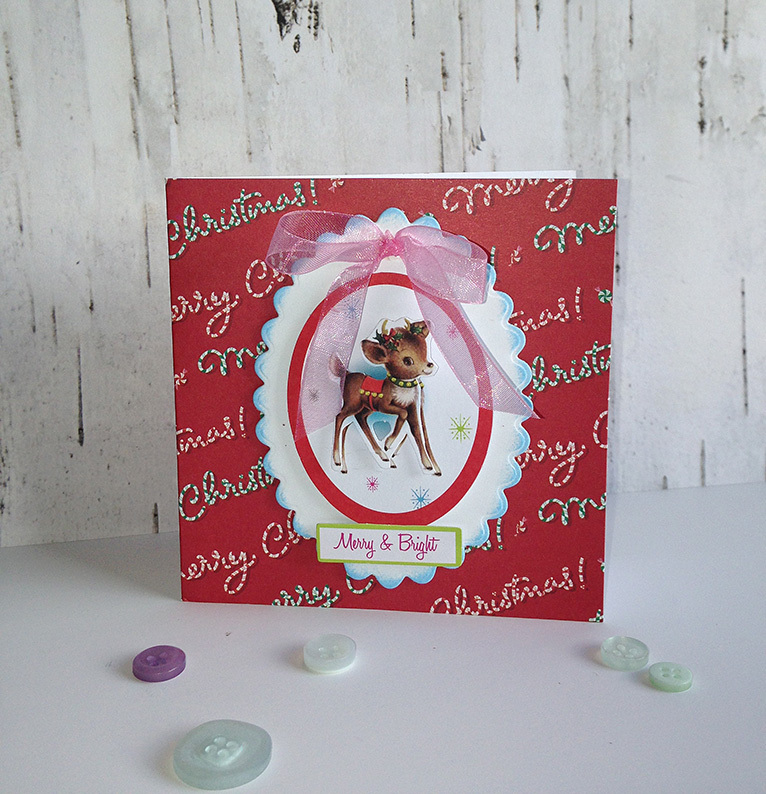 The bauble is actually an acetate aperture, the reindeer image having been stuck to the inside part of the card. This is another stunning Xcut die which is beautiful cut from white cardstock against a contrasting dark background. 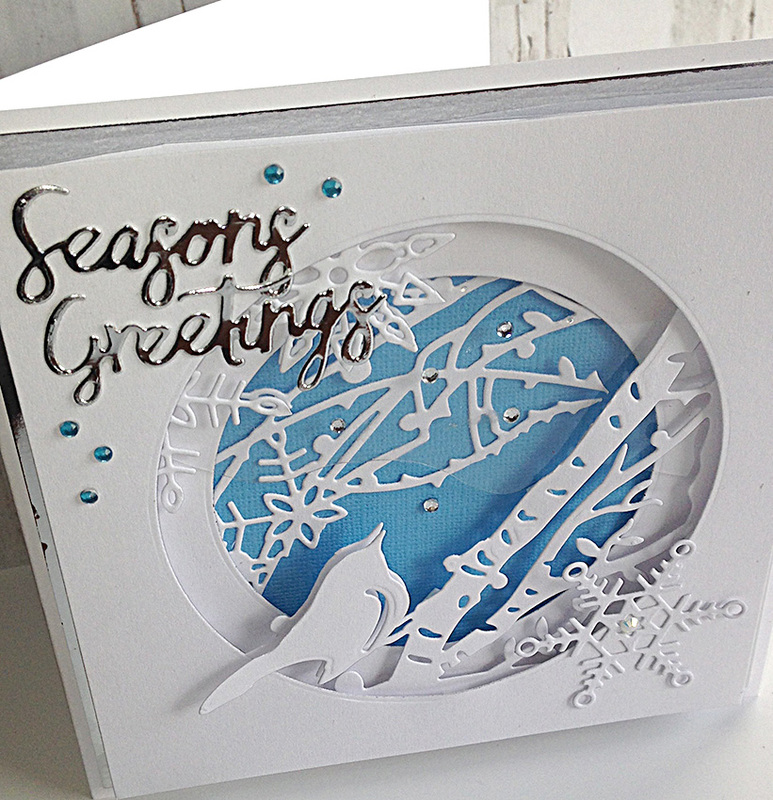 This one looks like a crisp winter night with all that glittery crystalline snow in the shaker part. 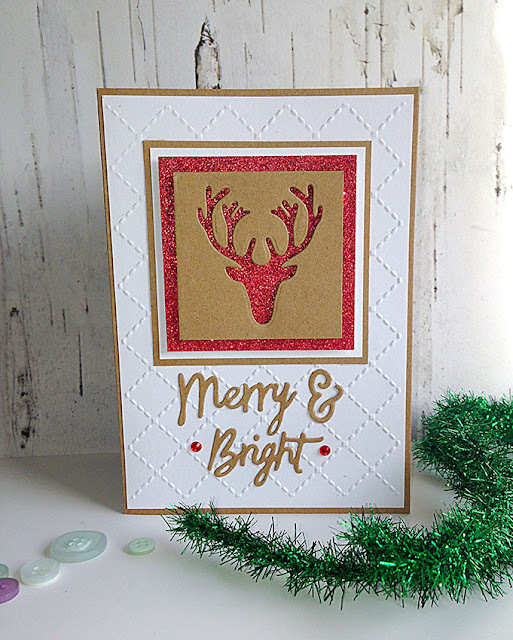 This card could impress just as easily by adhering the white die cut straight on top of a pink or lime green glitter card background. A nice quick make which is what you want if you are making dozens at a time. CAS because sometimes less is more! Did someone mention CAS cards? I hope so because here are another two! Here's something a bit different... I love mixing up styles and here I've combined a classic cute topper with a zap of aqua and a luxe gold geometric 3d frame and polkadot foiled paper. Very kitsch, I think you'll agree. If you can't be a bit kitsch at Christmas there's something amiss!! And here's a home decor idea. 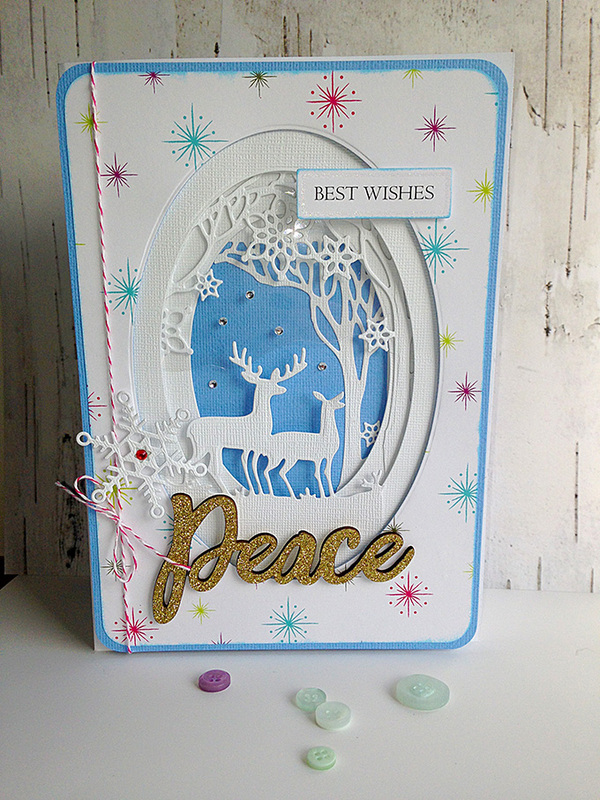 I cut the Xcut reindeer die twice on two pieces of trimmed down white A4 cardstock (as previously used on the Peace card). I then adhered some pale blue vellum to the inside of the cardstock then glued both the A4 pieces together to make the frame of the lamp. I made a shallow box to insert in the base to hold either a couple of battery operated tealights or, my fave which is a set of tiny battery powered led fairy lights. 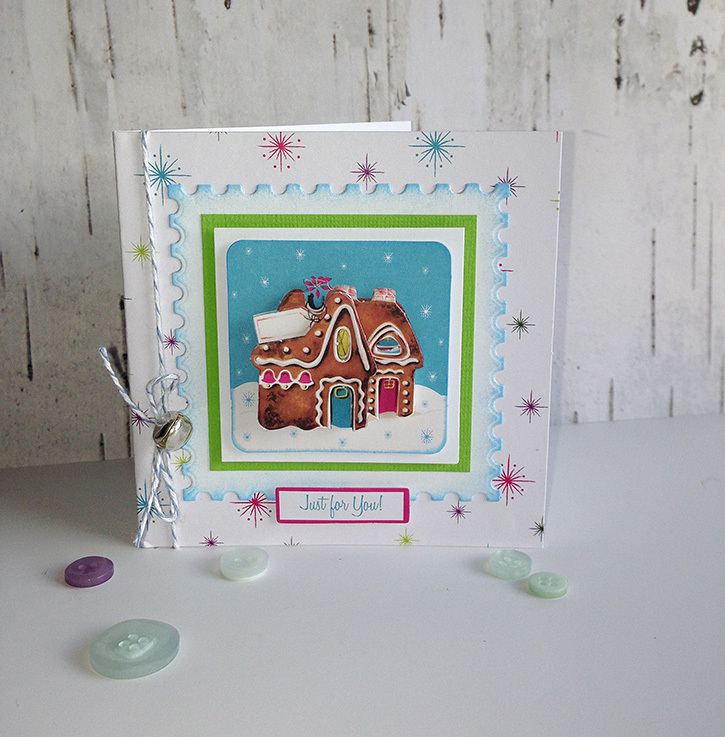 Looks gorgeous on a dark winter's night all twinkly and sparkletastic! 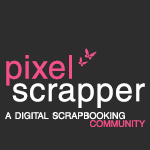 You could probably embellish it with some blingy gems or glitter borders but I like mine plain. I also wondered how some multi coloured LEDs would look in a lantern cut from black cardstock.... amazing probably! You could bling me up! If it's an intricate detailed die you're after, what about this one? 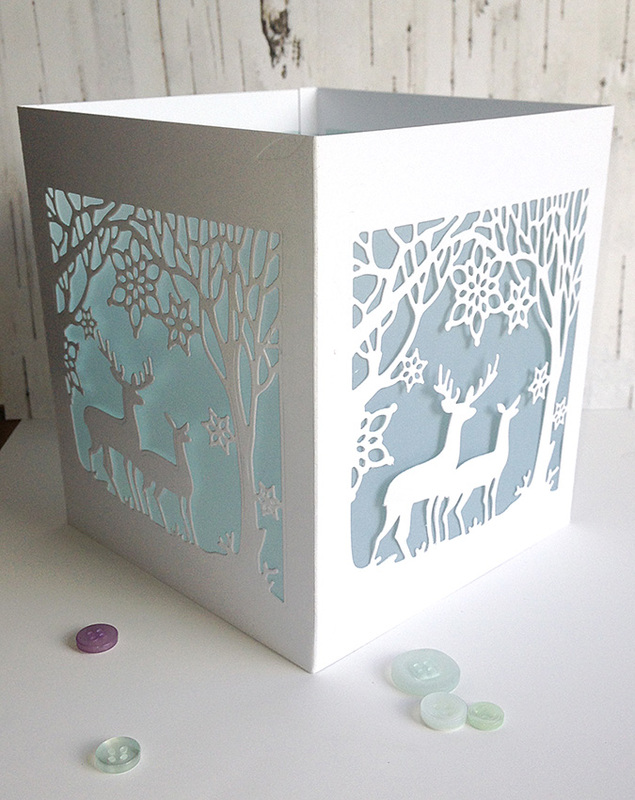 I made this easy easel card with this Xcut die set (5 pieces in total). 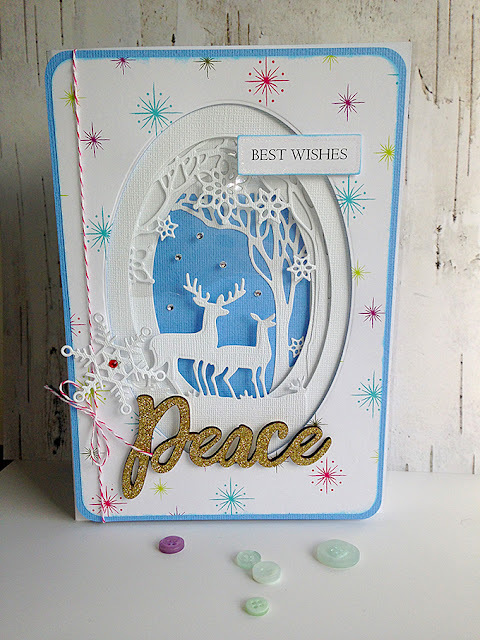 These cards have the wow factor without too much fiddling about and again, another CAS card that doesn't take too long to put together. 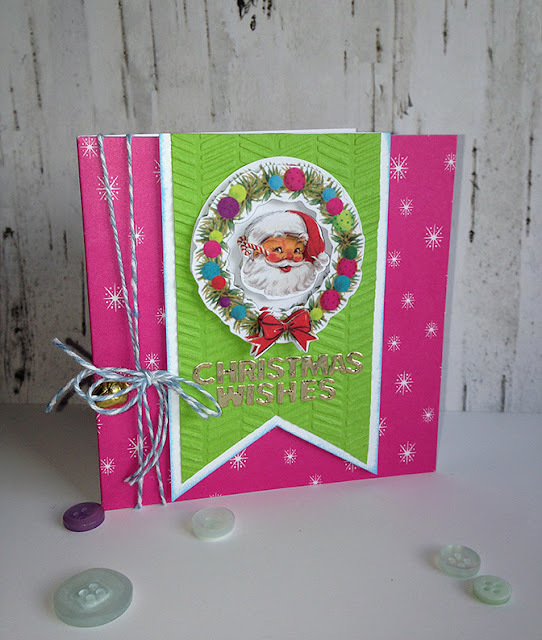 What about trying different colours of cardstock for the different parts of the card? 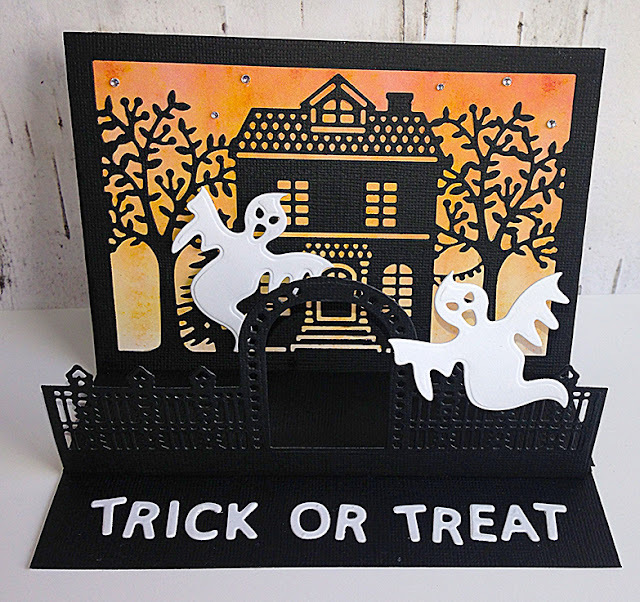 While I was making this card I was trying to think if it could be used in a different context and I got the idea of turning it in to a Halloween card. 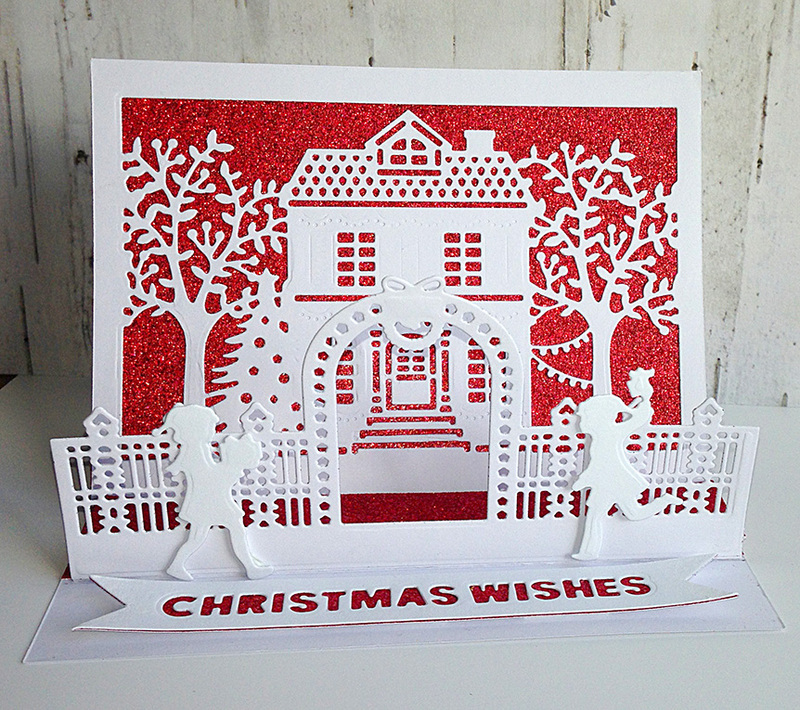 All it needs is a strategically placed spooky lil' ghosty to cover up the Christmas tree by the door and job done! 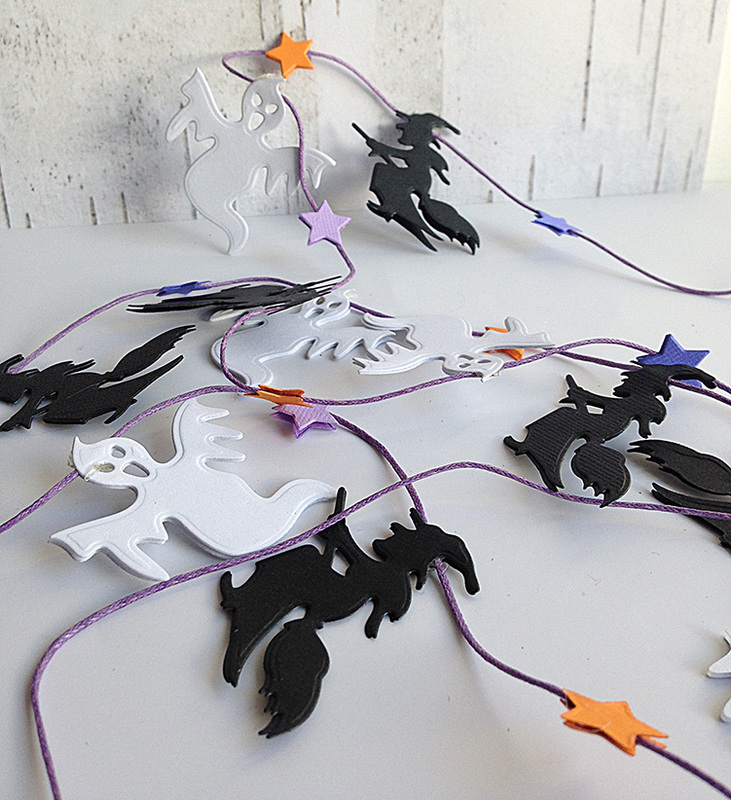 Maybe a string of LED's would make the ghostly eyes light up. Spooky!!!! Whatever season you're crafting for just enjoy and share. 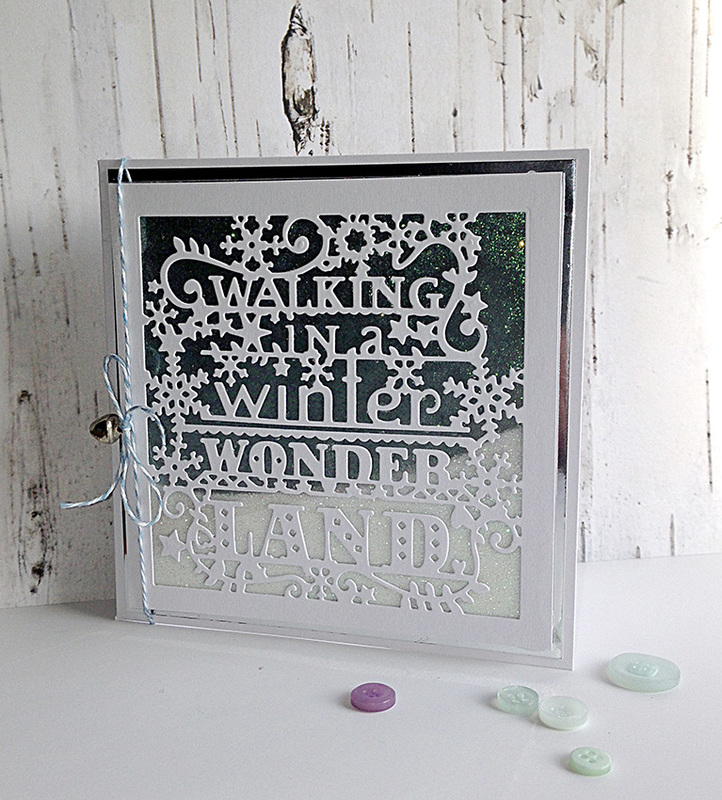 There's nothing like a handmade card or decoration to raise a smile. What you waiting for? !